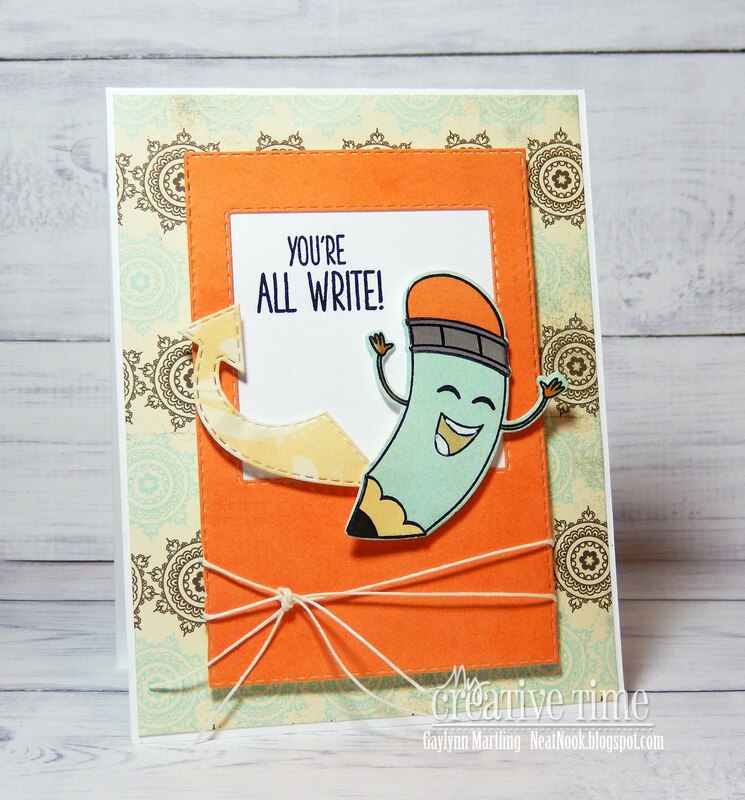 MCT 78th Edition Release Blog Hop & Sale! GOOD MORNING my sweet friends & welcome to our first day of sneaky peeks for our 78th Edition Release! Okay, now onto our FUN sneaky peeks!!! Today we are showcasing a brand new stamp & die set! This set is called "You're All Write". This new set has a total of 16 stamps along with 2 coordinating dies! Here is the first card I created using this new FUN set! I created a shaped card using my existing set I have out already "Bunch of Fun Circle Dies". I just LOVE how this came out! I also used my FAVORITE "Zig Clean Color Brush Markers" to color in the image. I used the larger image of the pencil in this set for my card. 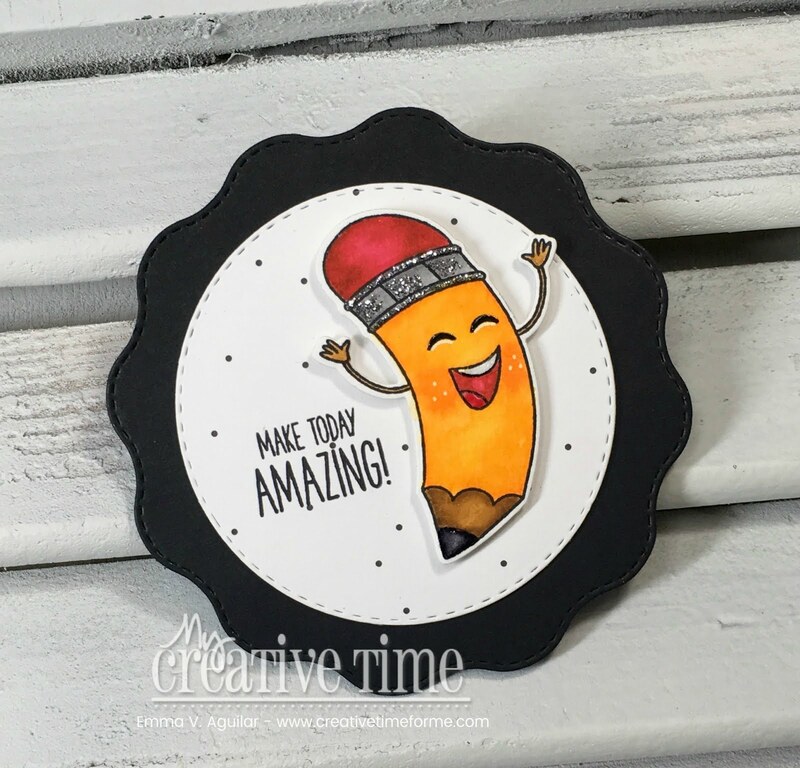 For my 2nd project, I created a little topper using a few existing dies I have out already! 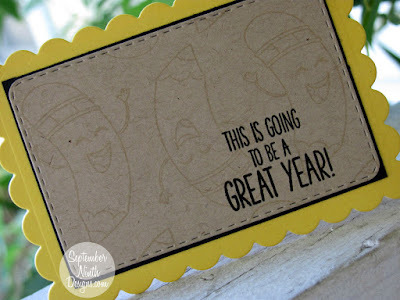 I used my "Scalloped Rectangle Dies" to create the topper & I used my "Just Tag Dies" for the tag! Good Morning Miss Emma!! OMG What a Super CA-UTE Die set..and loving the fonts and cute phrases!! 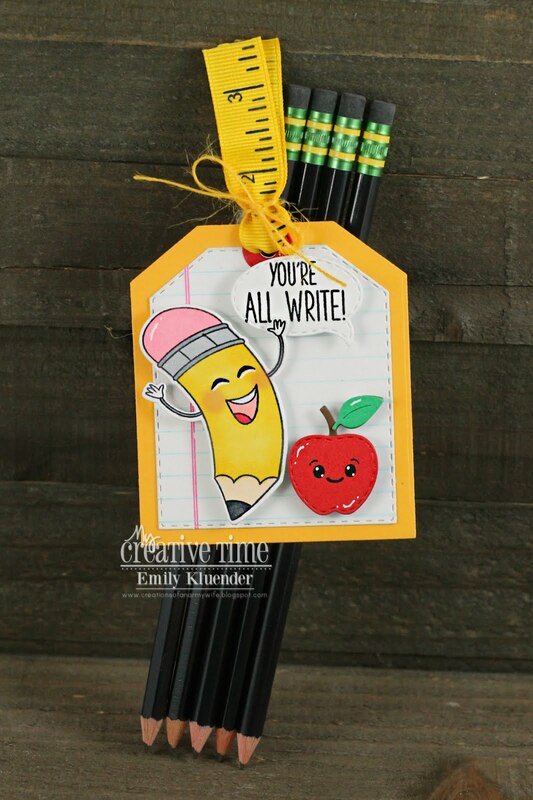 Your Card and Tag are So Adorable .... and your Pencil eraser treat is Awesome....gotta look at Target!!! You so did a Super Incredible Creative job!! Love how your fab goodies all work together!! I'm so Excited about today's Sneaky Peek!! Can't wait to see what you have for tomorrow!! Here's to your day being Tremendously Terrific! YOU so ROCK!! These pencils are super fun. Thanks for designing them. LOVE your card and bag topper! This set is too cute! Thanks for linking the adorable eraser too! I may need to get some of those for the beginning of the year!!! You hit it out of the park with this one! Adorable! Can't wait to see what else is coming! Oh my goodness!! This is super adorable! Such a super fun set!! 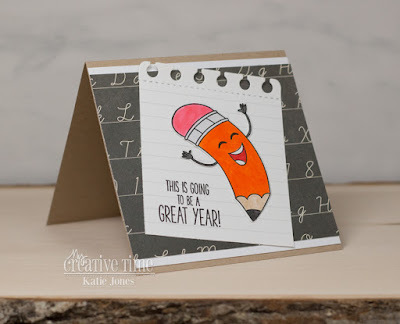 I love the cute pencil and fun sentiments!! Oh how cute!! Love this little pencil stamp! 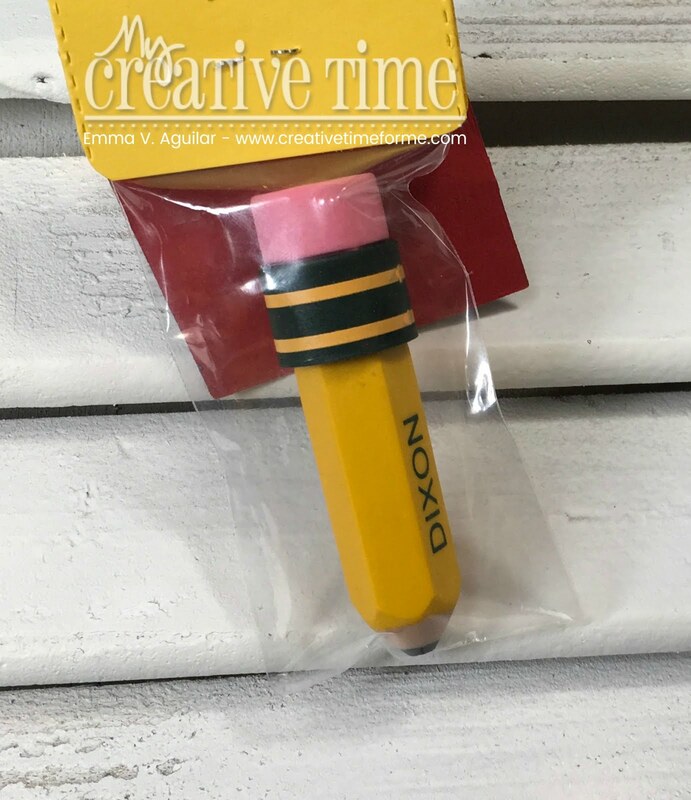 Love this pencil and hope to shout I Win! What a super cute set!! Have a great day. So darling. Hmmmmmm, I've been eyeing those gorgeous zig markers. I think they would be a lot cheaper than copics. 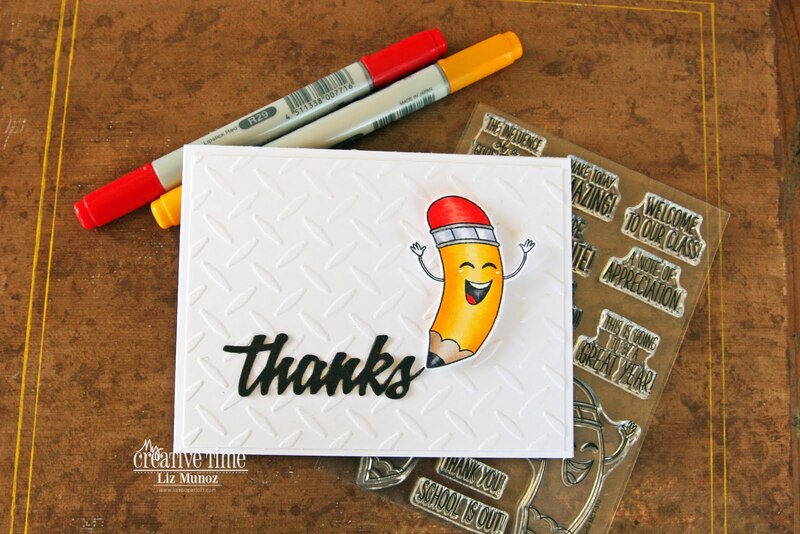 Love this stamp and die set. Awesome tag and card. That’s such a cute pencil !! What a fun new set! That pencil guy is ADORABLE! I am also loving all the sentiments. Especially the make today Amazing! Your projects are fabulous as was the design teams. So fun! 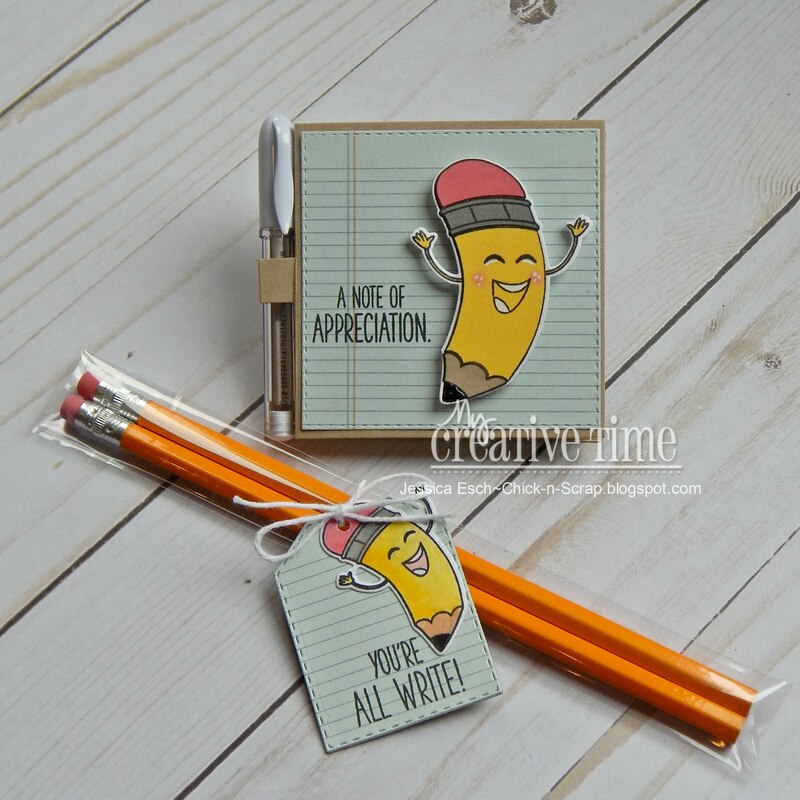 That pencil image is ADORABLE!! Super cute projects Emma!! 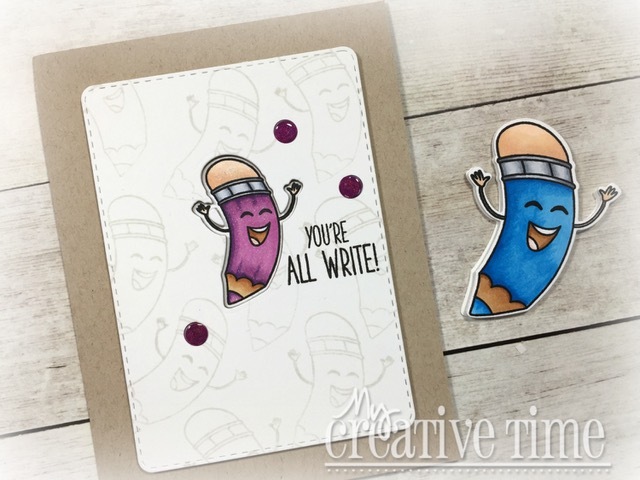 Your card and tag are so cute. What an adorable set that can be used for many occasions. Your team had some clever ideas for using the new set! I am looking forward to seeing all of the sentiments. Such a fun release with very unique products! Awesome work too! OMG this is so cute. I love this set. You all never disappoint!! Loved the tag and the pencil eraser! Adorable Miss Emma! Your coloring is spot on. Great idea for the kiddos. OH my goodness how adorable!!! 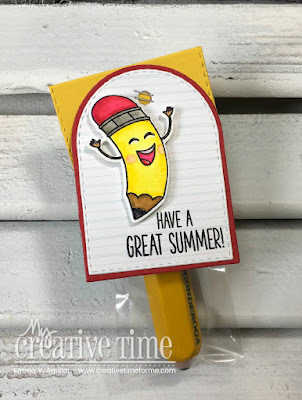 I love the CUTE curved pencil and all of the fun sentiments!